When most of us think of a senior activity center, we probably picture bingo tables and community rooms where older ones gather together to sit and visit. While the majority of our nation’s 1,500 senior centers still feature the classic activities for the elderly, many are now adapting to meet the needs of fitness-focused Baby Boomers. Today’s senior centers recognize that many of those who will be interested in using their facilities are more focused on exercise, the arts, and education. Similar to homecare systems and homecare software, which helps keep seniors safe and healthy at home, updated senior centers are striving to create a healthier, more inviting atmosphere. In an effort to draw in more clients – and better satisfy existing ones – an increasing number of senior centers are offering a wider variety of activities and events. In addition to fitness programs from yoga to Zumba, many centers are now offering art classes, theatre programs, computer courses, book signings – even dating workshops. For seniors living at home with the help of homecare systems or homecare software, caregivers can add each activity to a daily calendar to keep track of their busy schedule. One new senior center concept that is quickly catching on is Mathers – More than a Café, located in Chicago. Mathers is a public restaurant, but in order to take classes or use the fitness facilities, you must be 55 or older. “People have looked at the café concept as a way to attract baby boomers. It’s modern, and when you walk in, you know there’s something different,” says Betsie Sassen, assistant vice president of Mather LifeWay’s community initiatives. “It doesn’t feel like a place targeting older adults.” The Mathers café model has since been replicated by 30 organizations. “If we want to attract boomers, these places have to become cooler and hipper and there needs to be something they want here as well as like-minded people,” says Marcy Simon, director of older adult fitness at the Educational Alliance, a nonprofit community-based organization that created the Center for Balanced Living (CBL), a senior center in New York. The CBL now offers dancing with live music, as well as orchestrated discussions of everything from spirituality to sexuality. Does your family have questions about homecare systems and homecare software? As one of the premiere homecare systems available, ClearCare Online has helped countless seniors enjoy their golden years in the comfort of their own homes. 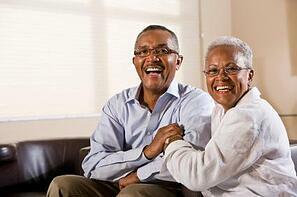 Call ClearCare Online today and ask how our homecare software could benefit your elderly loved ones.